Movies can show us impossible things to happen in real life. There's nothing that digital technology cannot do. 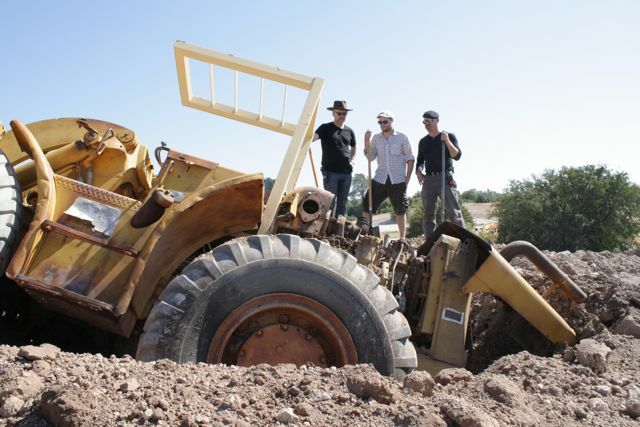 This time, scenes from a film will be tested by a multi-awarded science TV show, Mythbusters. The MYTHBUSTERS are getting pumped up with action hero mode with Seth Rogen, star and co-writer of the upcoming 3D action comedy The Green Hornet. 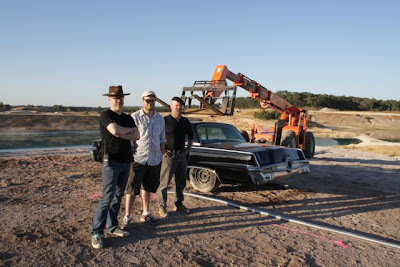 On January 28, 2011 (Friday) at 8:00 PM, the Green Hornet Special episode will feature Rogen and the MYTHBUSTERS team taking on two exciting scenes from the upcoming January motion picture release. The MYTHBUSTERS Green Hornet Special will feature clips from the movie, which also stars Taiwanese R&B sensation Jay Chou. As a MYTHBUSTERS fan, Rogen wanted to find out what would happen when some of these Hollywood scenes are played out in real life. If you have watched the Green Hornet film, you would wonder if the scenes taken were really ever possible to happen. But this should not pre-empt the excitement to those who are just about to see the film yet. The MYTHBUSTERS team, with Seth as their assistant, tackles two pivotal scenes from the film. First up is “Explosive Escape,” where The Green Hornet and his tech-savvy sidekick Kato are buried alive in the Green Hornet’s iconic car Black Beauty and blast their way out using the car’s built-in rockets. Adam, Jamie and Seth re-create this explosive silver screen scene - with a little TNT party. In “Elevator Car Cut,” Seth requests that Kari, Grant and Tory take on another action sequence from the movie, where The Green Hornet and Kato again find themselves in a jam. After being shot up by bad guys they crash into an elevator. As the elevator ascends, it slices the car in half, leaving them to escape in the front half of the car. To test this scene, the team build their own elevator from 3 ½ tons of steel, chop a car in half and take half a car to the racetrack. 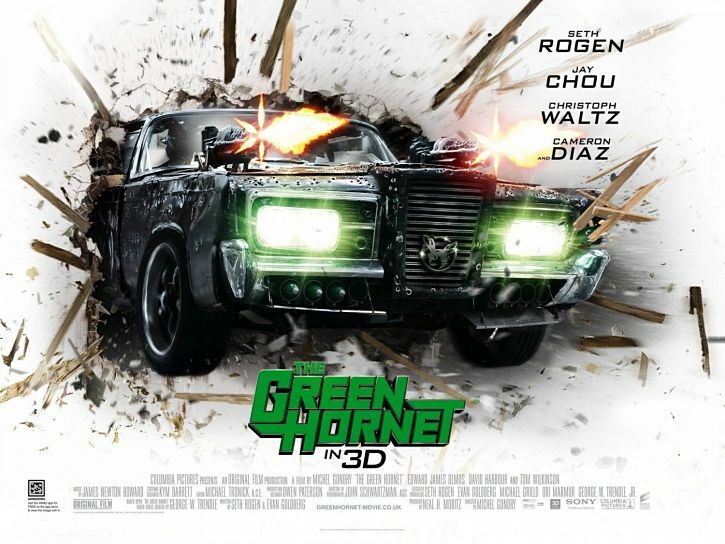 In the 3D action-comedy The Green Hornet, Britt Reid (Seth Rogen) is the son of LA’s most prominent and respected media magnate and perfectly happy to maintain a directionless existence on the party scene - until his father (Tom Wilkinson) mysteriously dies, leaving Britt his vast media empire. Striking an unlikely friendship with one of his father’s more industrious and inventive employees, Kato (Jay Chou), they see their chance to do something meaningful for the first time in their lives: fight crime. To get close to the criminals, they come up with the perfect cover: they’ll pose as criminals themselves. Protecting the law by breaking it, Britt becomes the vigilante The Green Hornet as he and Kato hit the streets. 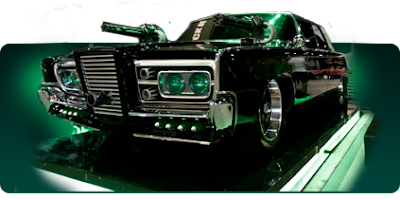 Using all his ingenuity and skill, Kato builds the ultimate in advanced retro weaponry, Black Beauty, an indestructible car equal parts firepower and horsepower. 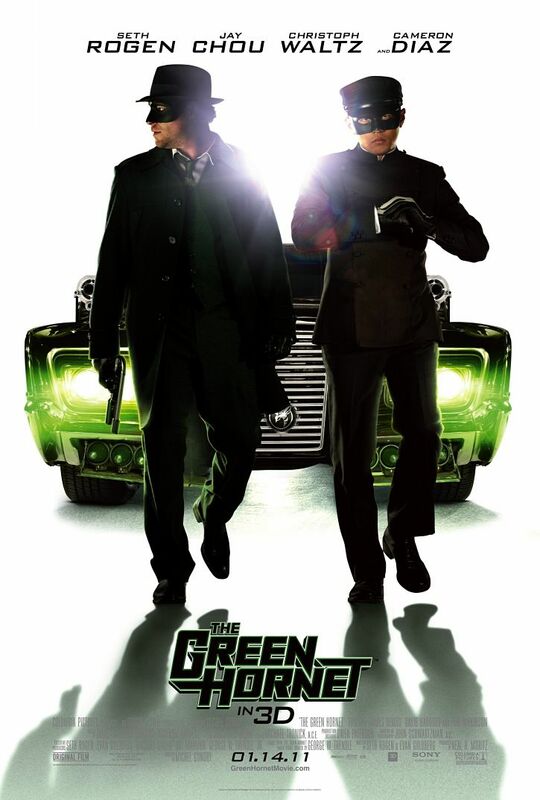 Rolling in a mobile fortress on wheels and striking the bad guys with Kato’s clever gadgets, The Green Hornet and Kato quickly start making a name for themselves, and with the help of Britt’s new secretary, Lenore Case (Cameron Diaz), they begin hunting down the man who controls LA’s gritty underworld: Benjamin Chudnofsky (Christoph Waltz). But Chudnofsky has plans of his own: to swat down The Green Hornet once and for all. The film is directed by Michel Gondry, produced by Neal H. Moritz. The screenplay is written by Seth Rogen & Evan Goldberg, based upon "The Green Hornet" radio series created by George W. Trendle. The Emmy®-nominated MYTHBUSTERS, which airs Fridays at 2000 HRS (8:00 pm SIN/HK) on Discovery Channel, aims to uncover the truth behind popular myths and legends by mixing scientific method with gleeful curiosity and plain old-fashioned ingenuity. The series, called “the best science show on television,” stars hosts Adam Savage, Jamie Hyneman, Kari Byron, Tory Belleci and Grant Imahara. Special episode premieres Friday, January 28 at 8:00 PM SIN/HK on Discovery Channel.